Celebrating my birthday today my way! 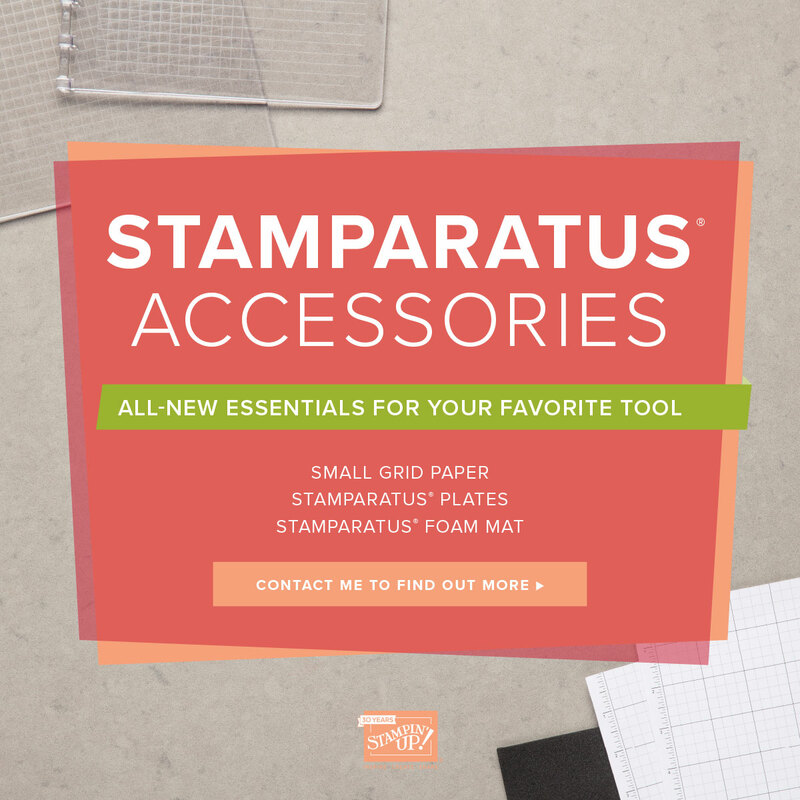 Big Shot Embossing Mats from Stampin’ Up! 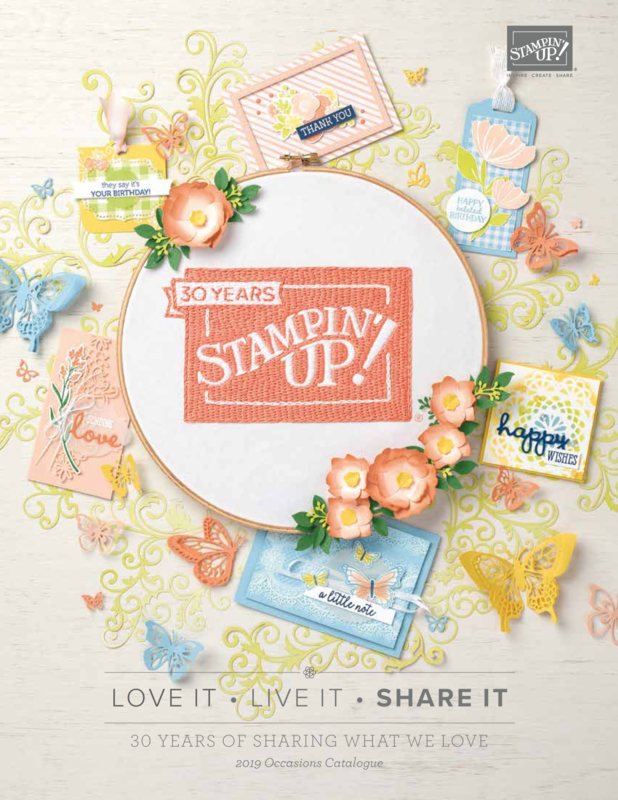 If you’ve been wondering what the Big Shot Embossing Mats are all about that are located on page 221 of the 2018-2019 Annual Catalog, here’s Chad to explain it to you! 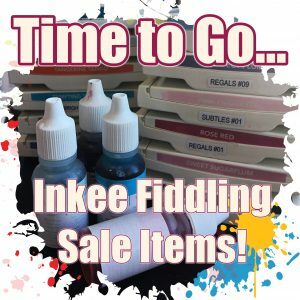 What a fabulous tool to have in amongst your stash to give yet more purpose to all our thinlits and framelits – woohoo! A sneak-peek into the design process that went into the creating of the Petal Promenade Designer Series Paper found on the top of page 190 of the 2018-2019 Annual Catalog. And don’t forget, the Petal Promenade Designer Series Paper is also one of the selections for this month’s Buy 3, Get 1 FREE DSP Promotion! This is the last week for challenging myself to make a non-Christmas card from a Christmas stamp set. This time I’m using the Christmas Pines Stamp Set. 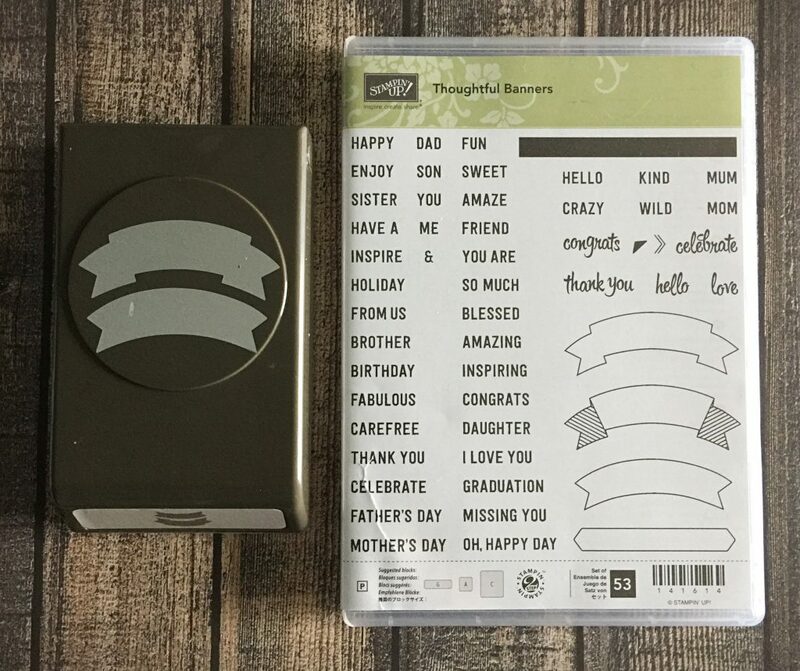 Thank You was fussy-cut after heat embossing. It was well-worth the effort don’t you think? The Christmas Pines Stamp Set is located on page 96 of the 2018-2019 Annual Catalog. 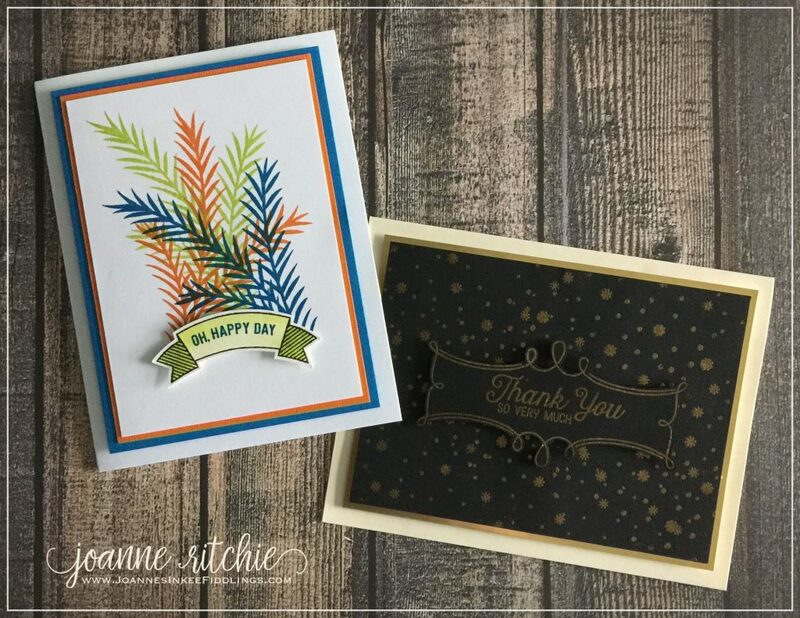 The sentiments came from two different stamp sets – Thank You is from the Flourishing Phrases as used last week on page 18, whilst the Oh Happy Day is from the Thoughtful Banners Stamp Set on page 57. The coordinating Duet Banner Punch is on page 211. 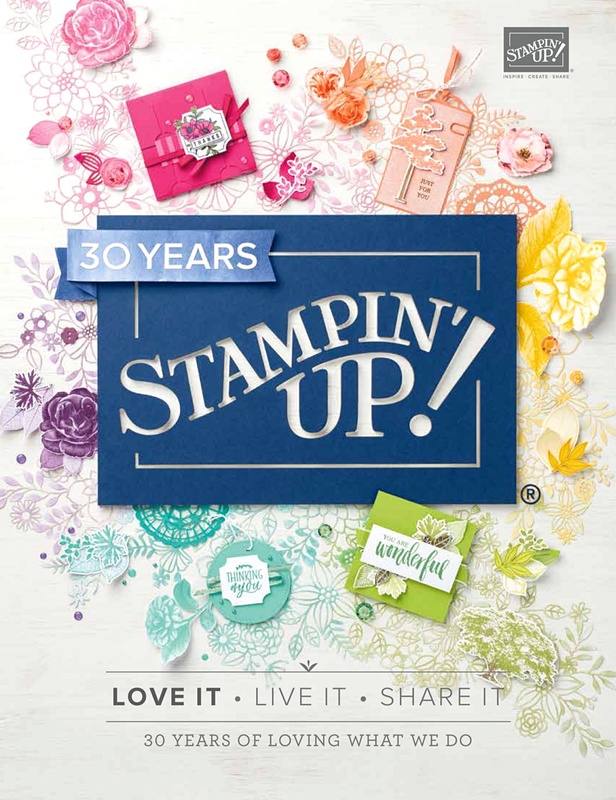 Make a Difference Stamp Set is one extremely versatile stamp set containing a whopping 143 photopolymer stamps.Yep, you read that correctly, ONE HUNDRED AND FORTY-THREE stamps! 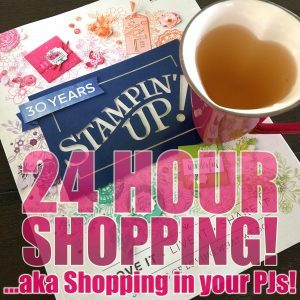 This stamp set is absolutely amazing and great value for only $34. 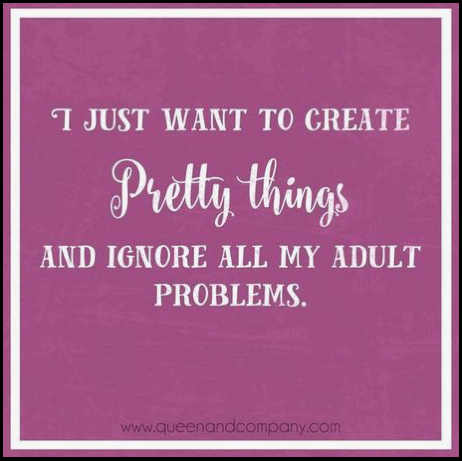 You’ll find it on page 178 of the 2018-2019 Annual Catalog.